Although, the most interesting member of this Fornax Galaxy cluster is NGC 1316. NGC 1316 is a galaxy that has formed when multiple small galaxies merge together. The gravitational contortions of the galaxy’s adventurous past have left their mark on its lenticular structure. This chart shows most of the stars that can be seen with the naked eye on a clear dark night. 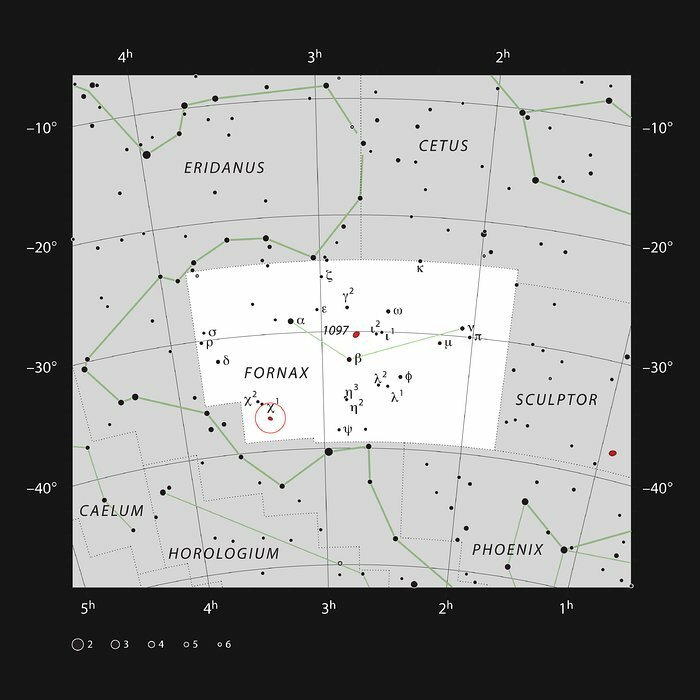 The small constellation of Fornax (The Furnace) contains a concentration of nearby galaxies, including the galaxies NGC 1316 and 1317 (indicated by a red circle). These are bright enough to be seen as faint circular hazy patches in a middle-sized amateur telescope. 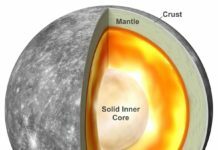 In 1970, scientists first observed its large ripples, loops, and arcs embedded in the starry outer envelope. But, all these remain an active field of study. 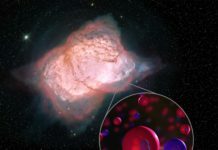 So, now by using latest telescope technology along with a combination of imaging and modeling, astronomers have observed the finer details of NGC 1316’s unusual structure. Scientists found that the merger that formed NGC 1316 led to an influx of gas, which fuels an exotic astrophysical object at its center: a supermassive black hole with a mass roughly 150 million times that of the Sun. This picture shows the sky around the pair of galaxies NGC 1316 and 1317. It was created from images forming part of the Digitized Sky Survey 2. As it accumulates mass from its environment, this inestimable creature delivers tremendously effective planes of high-vitality particles. Thus, it increases the characteristic lobes of emission seen at radio wavelengths, making NGC 1316 the fourth-brightest radio source in the sky. Astronomers captured the image at ESO’s Paranal Observatory as part of the Fornax Deep Survey. 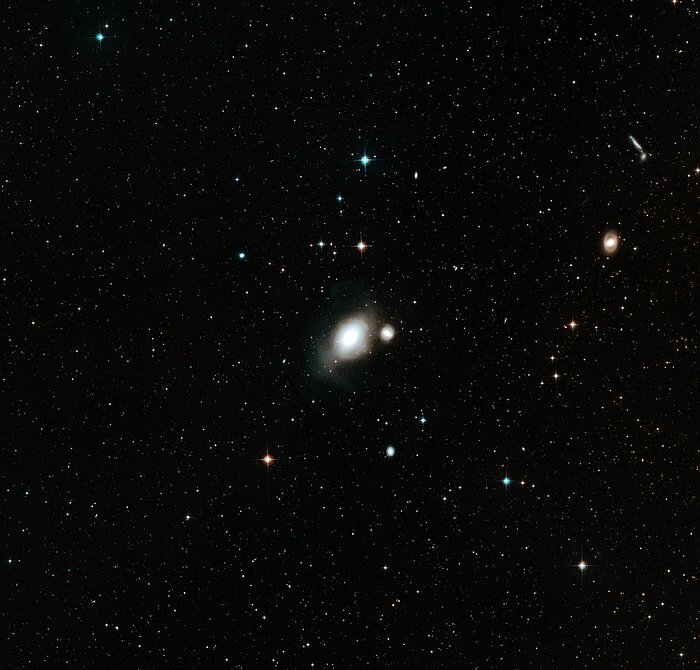 The team, led by Enrichetta Iodice (INAF – Osservatorio di Capodimonte, Naples, Italy), have previously observed this area with the VST and revealed a faint bridge of light between NGC 1399 and the smaller galaxy NGC 1387 (eso1612). 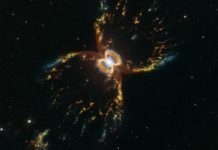 NGC 1316 has also been host to four recorded type Ia supernovae, which are essential astrophysical events for astronomers. Since type Ia supernovae have a very clearly defined brightness, they can be used to measure the distance to the host galaxy. In that case, 60 million light-years. 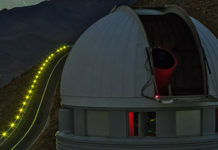 These “standard candles” are much sought-after by astronomers, as they are an excellent tool to reliably measure the distance to remote objects. 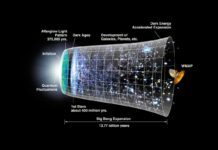 In fact, they played a key role in the groundbreaking discovery that our Universe is expanding at an accelerating rate. 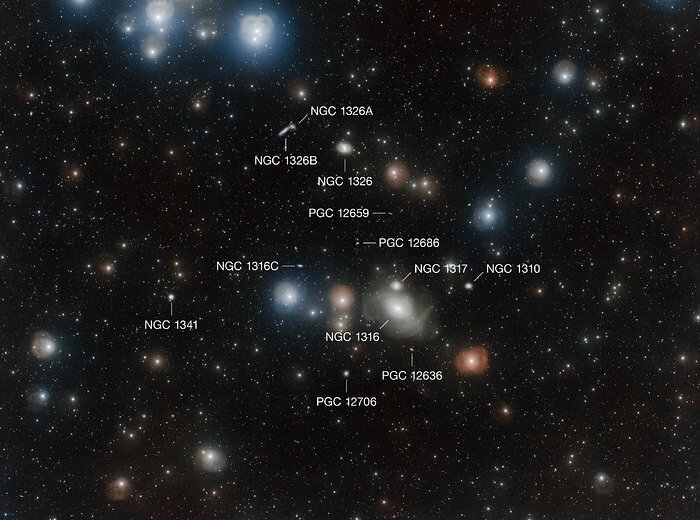 This annotated view labels the major galaxies around NGC 1316, a lenticular galaxy that is both in the constellation of Fornax (The Furnace) and in the Fornax Cluster. This astonishingly deep view of the cluster was captured by the VLT Survey Telescope as part of the Fornax Deep Survey. Lenticular or “lens-shaped” galaxies are an intermediate form between diffuse elliptical galaxies and the better-known spiral galaxies such as the Milky Way. As this radio source is the brightest in the constellation of Fornax it is also known as Fornax A. 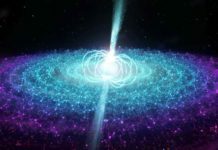 Type Ia Supernovae occur when an accreting white dwarf in a binary star system slowly gains mass from its companion until it reaches a limit that triggers the nuclear fusion of carbon. In a brief period of time, a chain reaction is initiated that eventually ends in a huge release of energy: a supernova explosion. The supernova always occurs at a specific mass, known as the Chandrasekhar limit, and produces an almost identical explosion each time. 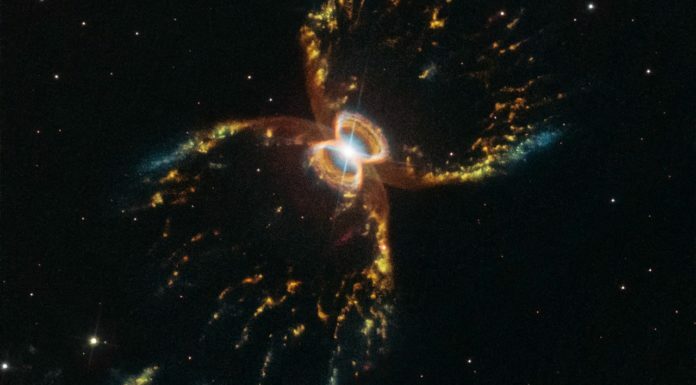 The similarity of type Ia supernovae allows astronomers to use the cataclysmic events to measure distance.